One of the easiest beer bottles to use for your home brewed beer are in my opinion the Grolsch Bottles. 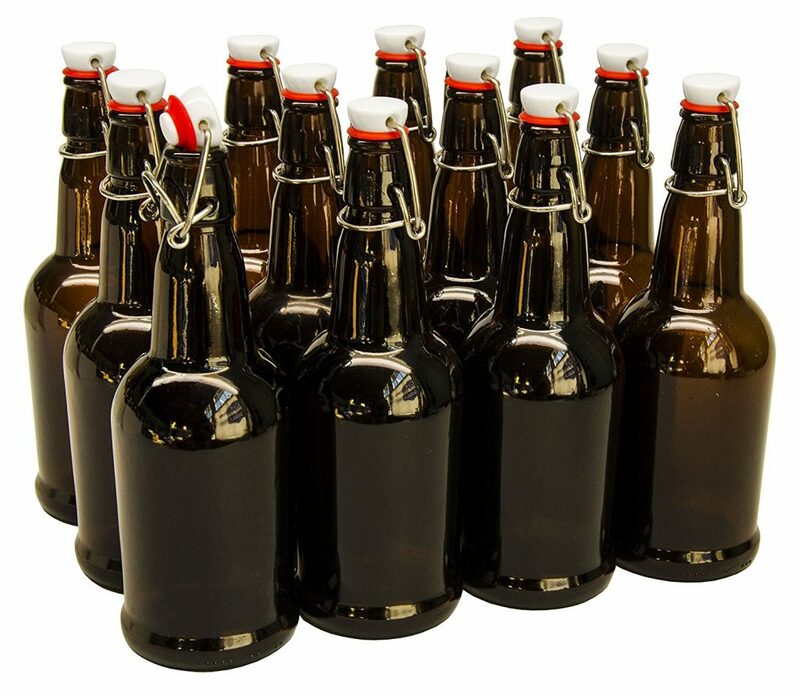 These world famous swing top beer bottles do not require any type of beer bottle caps or since the ceramic top in combination with the rubber gasket will seal your bottle perfect. 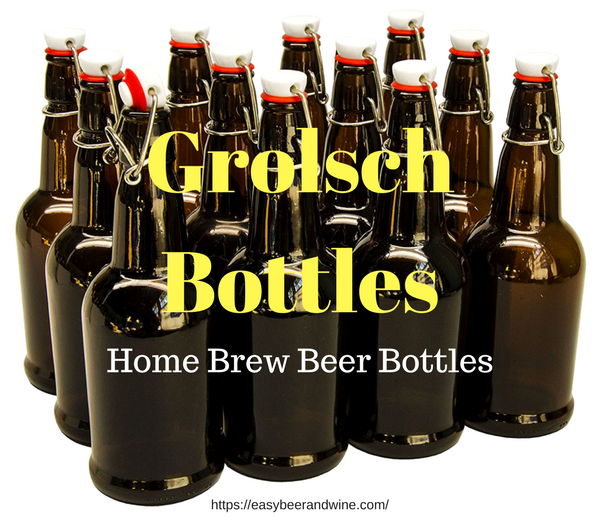 Although there are more Grolsch bottle sizes most home brewers use the 16 OZ version and that is what we will focus on in this Grolsch bottles review. We will have a look at some 6 bottle packages and the more popular 12 bottle packages that are available. We only look at products with a 4 star or more rating because we do not like to waist our or your time on products that not perform well. The prices are all in about the same range so it is a personal choice what type to purchase. 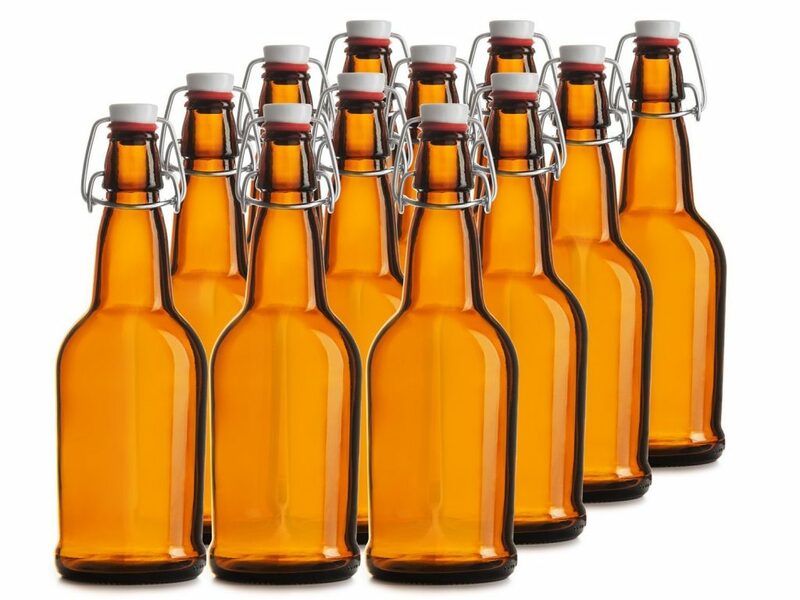 After you have chosen your beer brewing kit and the beer is ready, filling bottles is the last step in the home beer brewing process it is very important to use a good quality bottle. This top 5 is in random order. You can click on the star ratings to read all the customer reviews for that particular bottle. This case of 12 bottles are 16 Oz and this is the most used size. If you do not like the amber color you can opt for the clear option that is also available. We found over 500 reviews from people who took the time to write about their experience with this brand of beer bottle. One of the things we could not confirm was if the cap was made of ceramic material or plastic. Some reviewers called it plastic and others ceramic. We contacted the manufacturer and there answer was that they are plastic. One warning is that the caps are packed separately and some buyer thought they did not get them. They are in the box in between the bottles I read. You have to install the caps yourself and some people thought it was hard to do, but most mentioned it was easy and the cap seals great. No particular reason these Chef’s star clear grolsch style bottles are the second one we review it was just in this order on our to do list. With over 870 reviews and and a 4.4 star rating we wondered what the difference is between the amber colored and this clear glass type. we did not find any difference and do not understand why these are rated higher. Many people use the bottle also for other liquids and i even read about someone using it for storing salad dressing. 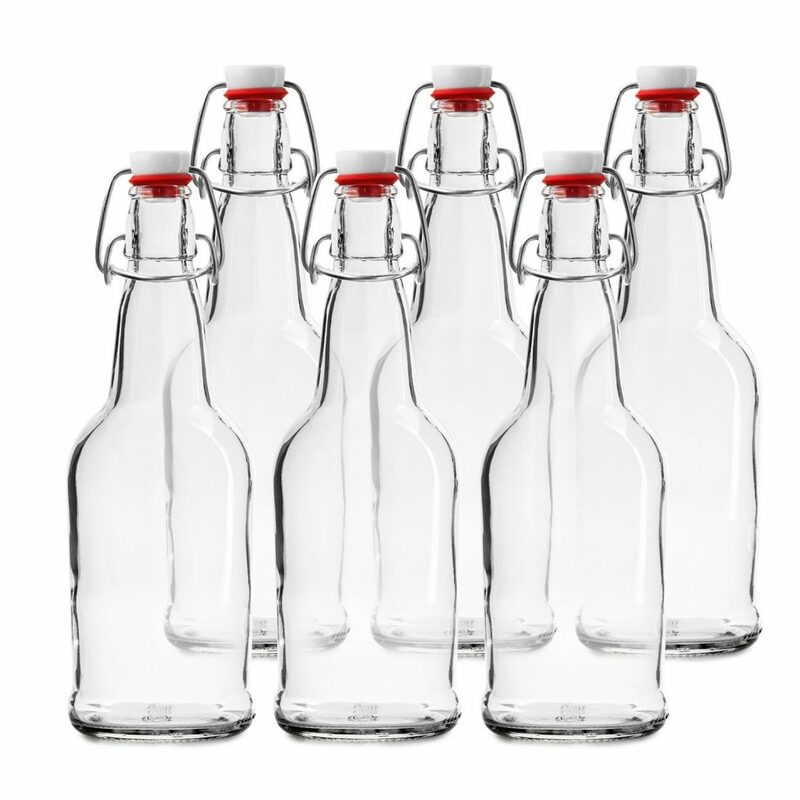 Not much more to mention about these 16 Oz easy cap clear grolsch beer bottles then that they work great and have all the same product specifications as the amber colored ones we reviewed above. This is the first bottle that we found that comes with the ceramic top and not the plastic ones. Although we could not find to many difference in using one or the other, many people prefer the ceramic caps for their Grolsch bottles. For the brewers that like to try this type of flip-flop beer bottle first they have a 2-pack available also. The regular package contains the 6 bottles with caps and all included. 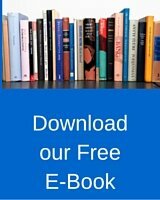 I have seen over 270 reviews and was surprised by the rating of 4.9 stars. This 4.5 rating comes from almost 500 buyers as you can see. The cap is made of hard plastic and I have not read any complaints about that in the reviews. For the people who are like to know all the details I found that the gaskets are latex and BPA free. Always better of course. You can replace them with any other brand of cap if you like to they are all the same size. Although the metal hinges of the EZ cap bottles are not made of stainless steel I read that under normal use they do not rust. One note on the colors of these Grolsch swing top bottles is that the amber is a colored glass and the cobalt blue is a coated bottle and the caps are not attached to the bottle and you have to do that yourself. This is very easy to do and you can look at the video at the bottom for that. The have the ceramic cap and a silicone gasket which should reduce leaking according to the manufacturers specifications. What I like is that every bottle is individually wrapped in bubble plastic. Some other brands we reviewed mentioned a few times that the bottle came broke. There were not too many reviews but they gave these beer bottles a good rating. I read a few times that people had a hard time placing the cap on the bottle when it did not came per-assembled like in many cases. Some people also had this problem when they had to replace the cap and wiring. Here is a video that shows you the correct way of doing this. It is my personal experience that it can be very hard to use these ceramic or plastic caps on a beer bottle. I was scared to use too much force and break the bottle but I know now that that is almost impossible to do. Just keep on pushing and it will pop on there. The gasket or seal can be a little hard and especially when you use it the first time this can be a little bit of a problem. For people who like to see how to open and close a grolsch flip top bottle I found this video. Not the best quality but still okay for the purpose. Grolsch was and still is brewed in Holland by the same company. It was founded in 1615 by the Mr. Neerfeldt who sold it in 1850 to the family Groen. This family owned the majority of ownership till 2007 when it became part of the SABmiller group in 2008 for the price of 816 million Euro’s. The grolsch brewery received the title of “Koninklijk” which means royal in 1995. They brew 9 more specialty beers for the European market and 5 more for the Asian and Australia. I read that Grolsch beer is even considered Vegan friendly and it contains 145 calories per 1 bottle serving. Although the what is called flip-top, bail, Grolsch or even Quillfeldt stopper is not only use by the grolsch beer brewer but also on many other type of bottles. 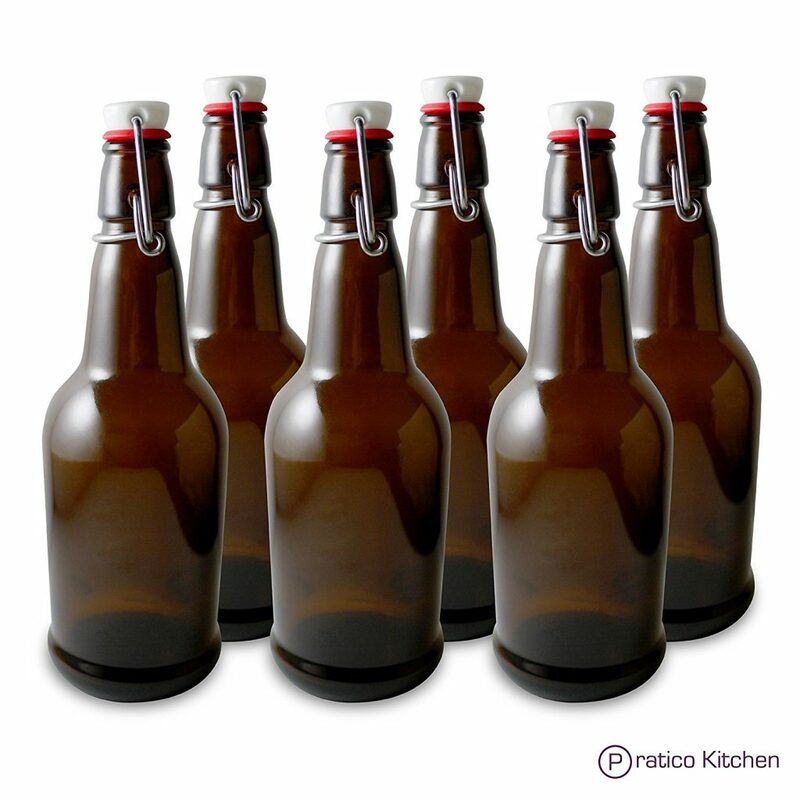 It is most commonly known under this name because of the use by the home brewers all over the world. This type of bottle cap eliminates the use of a bottle opener to open the bottle and the us of bottle caps and a bottle capping tool. Don’t now if we can call this bottles a beer accessory or not but that is the category we placed it in. It still is a very personal choice to use the Grolsch bottle for home brew or any other type of beer bottle and it can also depend on the type of beer you are brewing.